What types of events do you rent out the facilities for? Family dinners, wedding/baby Showers, birthday parties, farewell parties, retirement parties, skating parties, picnics, sport windups, book launches, bridge/card clubs, fitness classes, crafting groups, meetings, annual general meetings, workshops, training classes, etc. What is the capacity of your facilities? The hall at the Victoria site holds 130 people, the hall at the Hobson site holds 150 people with a seating capacity of 96. Rate may vary for Friday and Saturday evenings as well as bookings with 80+ people. Enclosed rinks and green space (excluding soccer fields, football field and baseball diamonds) are also available for rent. Please contact the office for more information. **A deposit fee may be required depending on the type of event. An additional fee for on-site staff may be applied. All rates are subject to change without notice. For rental rates for all other facilities at either site, please send a request to the Administrative Coordinator. Can I book long-term use of the facility? Yes, we welcome long-term rental contracts! Rental rate will depend on various factors including use, duration of contract, and days and times required. Please contact the office to discuss further. Your rental fee includes the use of the leased portion of the facilities and any equipment belonging to FGCC that is available for use and specified on the contract. No added fees for use of 6' tables and stacking chairs. Kitchens are equipped with a microwave, fridge and sink. The kitchen at the Hobson site is also equipped with a coffee maker. On-site staff will provide access to the leased portion of the facilities for the period of time specified in your rental agreement. Can I rent your kitchen to prepare food for my small business or event? No. FGCC facilities are not licensed for food preparation. Only foods ready to serve can be provided at any event. No dish washing is allowed. Are your facilities Air Conditioned? The Hobson site is air conditioned, but the Victoria site is not. Decorating of the leased portion of the facility is allowed. Please use easily removed tape or adhesives that will not mark walls or peel paint. All decorations, adhesives, string, etc. must be removed by the end of your rental time. Standard plastic or paper table cloths will usually fit tables at both sites. You are responsible for basic clean up after your event. Remove everything you brought, clean up tables, counter tops and chairs. Return stacked chairs to their place. Remove tape and/or decorating materials from walls. Deposit all garbage and recycling into the appropriate bins. Can we get in early to decorate and set up? The date and time that is stated on your contract to rent the leased portion of the facility must include setup and clean up time. Do I need a Liquor Permit? FGCC will rent out its facilities for events serving or selling alcohol at the discretion of the Board and in keeping with FGCC's policy with regards to alcohol. Any events serving alcohol will require the appropriate permit. Can we pay to have an event set up? Yes. We can arrange set up for your event. The cost is $15/Hour for each staff member (typically 2 staff) and includes set up of tables and chairs and decorating if required. Supplies and direction must be provided by you for decoration. Our group is just having a meeting, can we use your hall for this? Yes, we can accommodate groups of varying sizes for meetings at both sites. NOTE: Any audio/visual or computer set up must be provided by you. We have ShawOpen and MTS HotSpot WiFi access at both sites, and guest Wifi at Hobson. We have a projector, screen and speaker system available to rent. We're hosting a child's birthday party, do you have activities for them? Yes, we have a number of items available for a low rental fee, including plasma cars, slide, car, bouncer, a few carnival games and more. Please contact the office for individual and package prices. 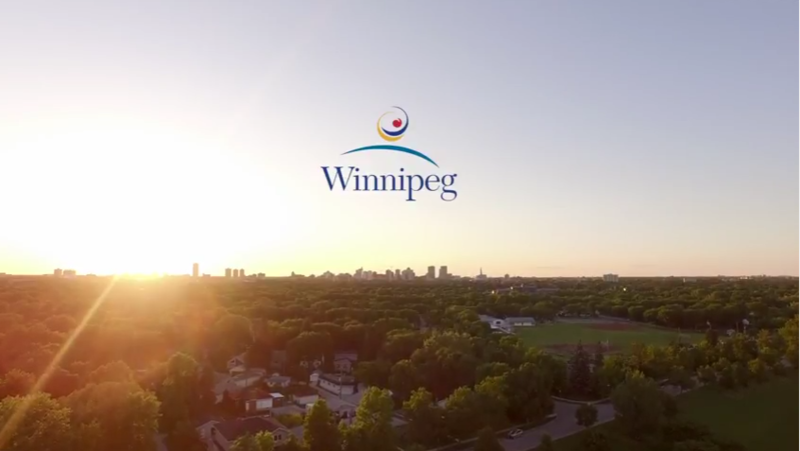 The City of Winnipeg also has a wide range of games and equipment available for rent through through Recreation & Leisure. Call 311 or go to http://www.winnipeg.ca/cms/recreation/leisureguide.stm and select 'Rentals' for a list of equipment and activities. Do you have to be an adult to rent the Hall? Yes, an adult must be responsible for the hall and all guests at the event. An adult must be PRESENT at the event to supervise. A contract is signed at the time of rental and the signor must be at least 21 years of age, or 24 years of age in some cases. Both sites have no-fee parking lots and free street parking in close proximity. The Victoria site parking lot has 12 stalls, and the Hobson site parking lot has approximately 94 stalls available. How does booking a rental work? Once you have contacted the FGCC office, the Facilities Coordinator will work with you to confirm the booking date and times and make arrangements for contract signing and payment. An FGCC employee will open and close the facility for your booking.